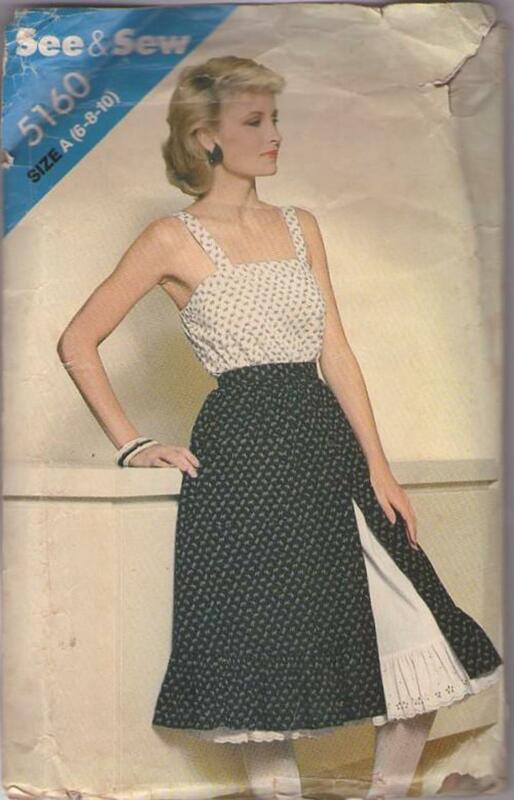 80s 90s Summer, Retro Beginners Clothing Patterns - MISSES' CAMISOLE, SKIRT & PETTICOAT Fitted camisole has front band, elasticized back and shoulder straps. Flared skirt gathered into straight waistband and front buttoned closing has self hemline ruffle. Petticoat has elasticized waistline and eyelet hemline ruffle. FAB summer fashions!